Now that you have toddlers running around, all sorts of things that you never noticed can be red alert safety hazards. 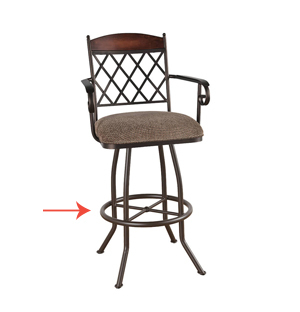 Barstools should also be something you’re aware of when you are toddler-proofing your home. Arms on stools help kids to steady themselves in the seat. They can also offer support and balance for the child when climbing up and down. 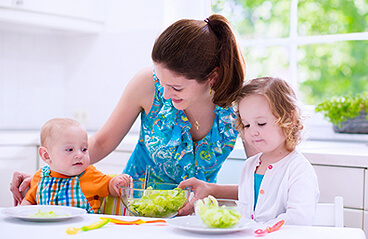 Arms can also function like miniature safety railings so even if your child isn’t holding on, the arms can hold them in from falling over the edge. Padded stools with full padded backs and no openings in the back of the stool, are easier for kids to sit in and keeps them from falling through. They allow kids to sink into a seat and stay in one place. Footrests are a great safety feature when the child is climbing up into the stool. Since children are much smaller than adults, these footrests offer support in stepping up. 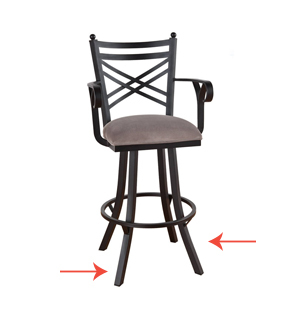 Usually people believe that heavier stools are more dangerous than lighter ones, however, this not always the case. Heavier stools are harder to knock over as they take more force. The likelihood of a toddler knocking these stools over is minimal. Just remember with proper supervision, you can avoid toddler accidents in the home! 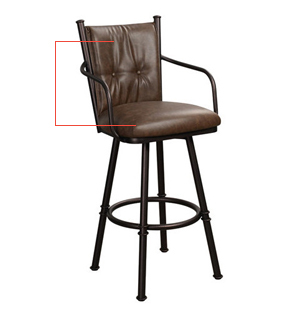 Stools with flared or angled legs give you more stability and are less likely to be knocked over as the stool is more balanced. This is something you may want to take into consideration as well. 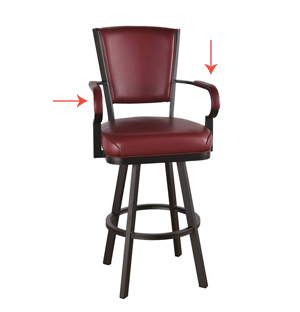 If you already have swivel stools and are concerned about your children banging them into the counters, there’s an easy way to child-proof them by locking the swivel mechanism. The most important thing you can do to ensure safety around stools is to keep an eye on your children. These tips will help you reduce risks, though as all parents know, no environment is 100% safe. Teach your children how to use stools safely and never let your child stand up on the seat of a stool. If you have any questions whether or not stools are a good choice for your kids, just let us know. Contact us here and we’ll answer any questions you have.